If you’ve been reading along, I’m trying to figure out how to find property investors near and dear to me. So far, my efforts in finding a joint venture partner are not going well. But I’m only a week in, so I’m not giving up yet. Funding your own property investment and renovation project isn’t cheap. Here’s what I’m doing to overcome my inability to fund my own property investment empire. I’ve put out a few feelers via some online forums. So far, no bites. The next step will be to directly contact people in these property investment forums, but there’s always the risk that you are working with some unusual cats. Basically, you’re never quite sure who’ll you’ll end up with. On the upside they may be amazingly like minded, cashed up and capable! Do you have a suggestion for innovative ways women can raise funds to get into property investment? Do you know about MeetUp? If not, check it out! Meetup is like Facebook events, but instead of getting invited to your cousin’s friend’s birthday dinner in a different state, you pick and choose from a variety of interest groups who hold events all around the country. If I didn’t have kids, 75 loads of washing every weekend, or I valued tucking them in at night less, I would go to MeetUps all the time. Maybe I just need to get organised and drive my own MeetUp for SheBuilds. Interested? Hit me up if you would come along (http://www.meetup.com/SheBuilds-Women-Property-CoInvest-in-Melbourne/). I’d love to get face to face with people I could co-invest with. Yep, I’m giving crowd funding a crack and I’ve set up a campaign using GoFundMe. Crowdfunding is a relatively new phenomenon and mobilises an online audience of everyday people and a handful of serious investors. You can pitch your business concept and invite people to help fund it by making a contribution. This may take the form of pre-ordering the product you intend to develop or in return for some other stake. It’s also an amazing way to reach out to strangers to fund a project or person when in need. I figure if I can find 40 women who would want a $1,000 share in my co-investment property plan than we might be on our way. I’m using social media and hoping to drive my network of women colleagues, friends and family towards this option. 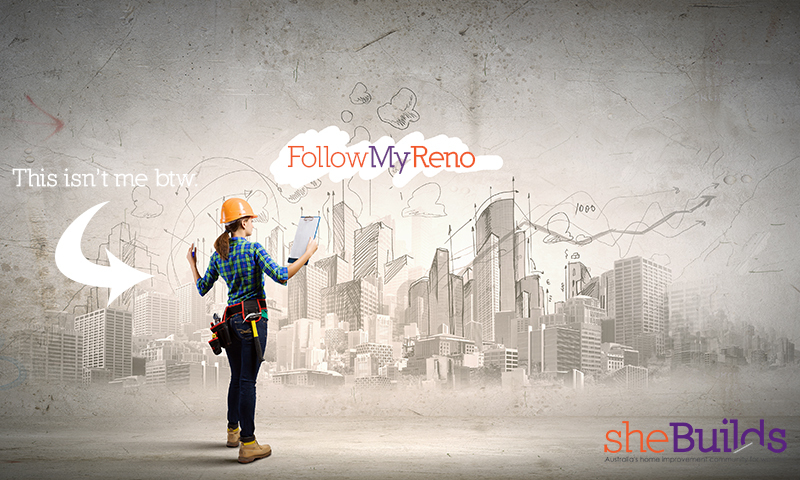 Want to be a part of a property investment journey? If you’re a smart, savvy and motivated woman who’s ready to build a bright future, hit up my page on GoFundMe! You can donate any amount! Profits will be reinvested into further projects, a share in the growing equity or returned as dividends to stakeholders. After that whole GFC debacle I reckon it’s at least as safe as shares! You’ll also have the opportunity to get hands on skill development and participate in the renovation of purchased properties. I am preparing a business plan to give to my mother which would outline the benefits of investing in a property renovation with me. This would involve her withdrawing money from her Super Account on the basis that I could provide her with a greater return. Note to self: don’t stuff this up! She is super cautious – and with reason – so I am not counting my chickens on this one. I’m also preparing a business plan for potential business angels. It’ll be based on microfinance principles and the gap in the market for women co-investors who are sorely needed to overcome barriers for women’s entry into the property market. I hope it has wings. Might ring Gina. I’m actually deliberately trying to avoid this one, because I want to do it on my own. Just to prove it can be done. I could ask him for a loan or pull money from our joint businesses, but we are pretty cash strapped at the moment so it’s not like its sitting there to be tapped anyway. Do you have any other suggestions about how to raise a deposit for a property investment and renovation project? How have you funded your property investment projects? I have grown two of my own property portfolios Suzanne. Initially, I had to complete my own due diligence and create my own business plan. While hubby stayed home with three under 5yrs olds, I arranged a meeting with a bank manager to fund half a million for my first investment property. Fortunately, he was so impressed with my presentation that he approved my loan application there and then. 12 years on with my husband’s support we have built a decent investment portfolio. We looked at getting financial partners and that was not an option when we looked at the 360 degrees that was required legally and the loss of control. The banks are completely different with their financing regimes at the moment. In fact a number of accountants agree with me that banging your head against a brick wall gives you a result….it draws blood. That is more than you will get out of the banks. Wish you all the best and hope things work out. It will absolutely be a testiment of the level of tenacity you have for a successful result. Myself…..I like absolute control, so a financial partner will not be an option for me. I am in the same situation. I currently do joint venture subdivisions with a small group of consultants but I am itching to relocate and restore a Queenslander to sell. I’ve got land, knowledge and project management skills but not the capital and can’t find tradespeople who are willing/can afford to treat it like a spec home project. If you hear of anyone, send them my way please!